I learned to love coffee the first time I lived in Paris, a wide-eyed college student on a yearlong study abroad program. The previous year I had only flirted with French vanilla — only during exams with a nihilistic helping of cream. And for two years I was tied to that mast, that ubiquitous mermaid that beckoned all to her house blend. My salvation was espresso in ceramic – the revelation that coffee is not a crutch, but a moment. 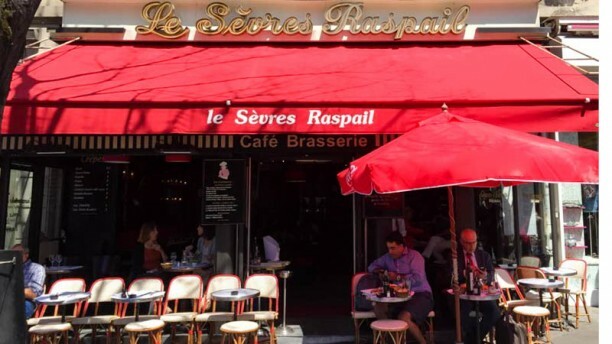 The first day of orientation a classmate and I had lunch at Le Sèvres Raspail, a sidewalk café named for the intersection – not from lack of imagination but from a deeper admission that the intersection is the main attraction. Per custom we sat shoulder-to-shoulder in woven chairs. 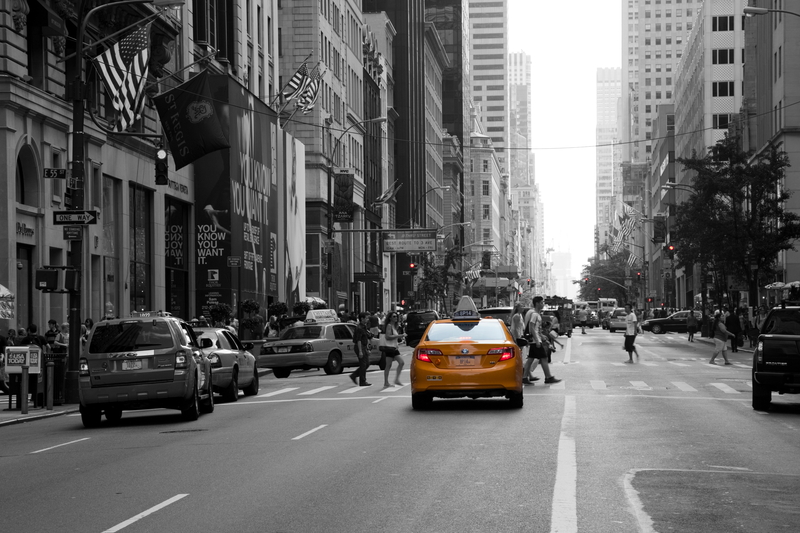 All the better to see and be seen. We gazed over our lattés at the Hôtel Lutetia, an Art Nouveau masterpiece whose walls once held Picasso, Joyce, and the Gestapo. I had never paid so much for a coffee, but I knew I was paying for the view. Time wore on and I acquired the taste. But the weather and my workload took a turn for the worse. Still, I stole the odd, unseasonable afternoon on the sidewalk. 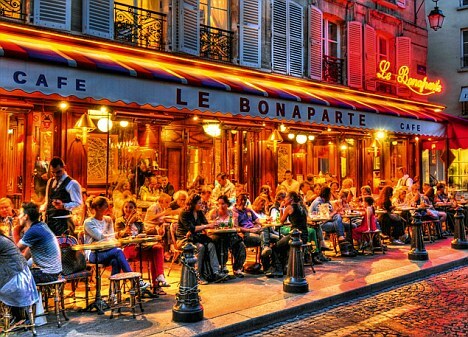 On my best days I lingered at Le Bonaparte, in the shadow of the thousand-year-old Abbey of Saint-Germain des Pres, turning the pages of a second-hand novel rummaged from the bargain bins at St. Michel, or a newspaper bought from a passing peddler. Many mornings I staggered through wind and rain two doors down and ten minutes late to the nearest café, to steal myself for a long day of lectures and libraries. To their immense credit the French wouldn’t sell me a paper cup – there’s always time for an espresso. Instead of dashing off into oblivion to scald my tongue and stain my gloves, I spent one minute every day in the same spot as Paris unfolded around me. A Parisian neighborhood café is always more than a coffee shop. There were always a few students queuing by the window for tobacco and rolling papers. 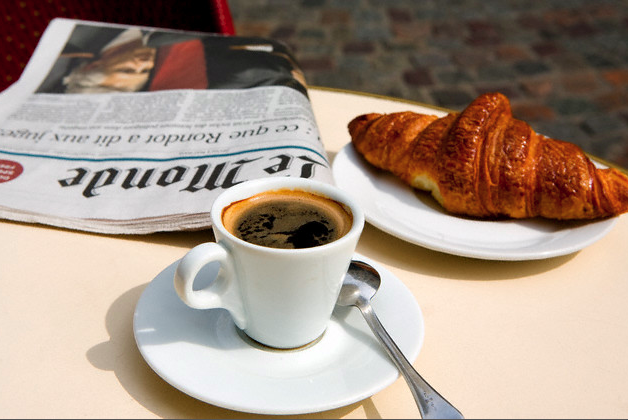 A businessman or two would dart in to leave a few coins on the counter for a copy of Le Monde or Le Figaro. The pensioners at the back would sedately sip Pernod, periodically dripped from a bottle hung upside down beside the espresso machine, scrutinizing the day’s racing form or the video lottery I never quite comprehended. And I would throw my head back one last time, place the cup back in its saucer, leave my coin on the counter, and return to my life. Five years later I went back to Paris for four months and like any good Brooklynite I learned to appreciate a single-origin pour over. I acquired three contraptions to make my own cups at home. However many a weekday morning as I emerge from the subway in Midtown, typically running later than I hoped, I repeat my ritual. I gaze out the window of the Piccolo Café onto crowded streets, cup and saucer in hand, still and silent with New York all around me. This is Ian’s first Waddle story.